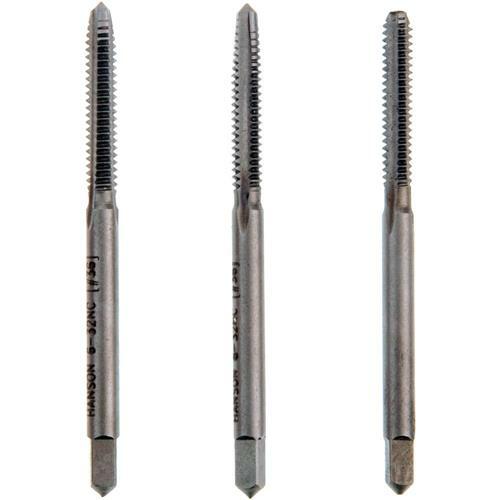 Irwin’s Hanson taps are ideal for auto repair and machinery where metric threads are specified. Convenient plastic pouch puts all the necessary taps at your finger tips. 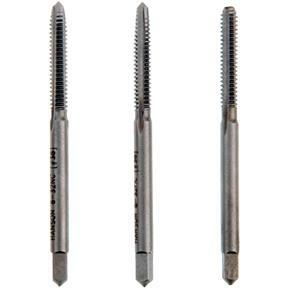 Each set includes 1 taper, bottoming and plug tap in the specified size. What can I say? A set of 6-32 taps for a reasonable price. This is a good value and I have been able to complete some projects to a high standard. The price is very reasonable and I recommend this tapping set to everyone.